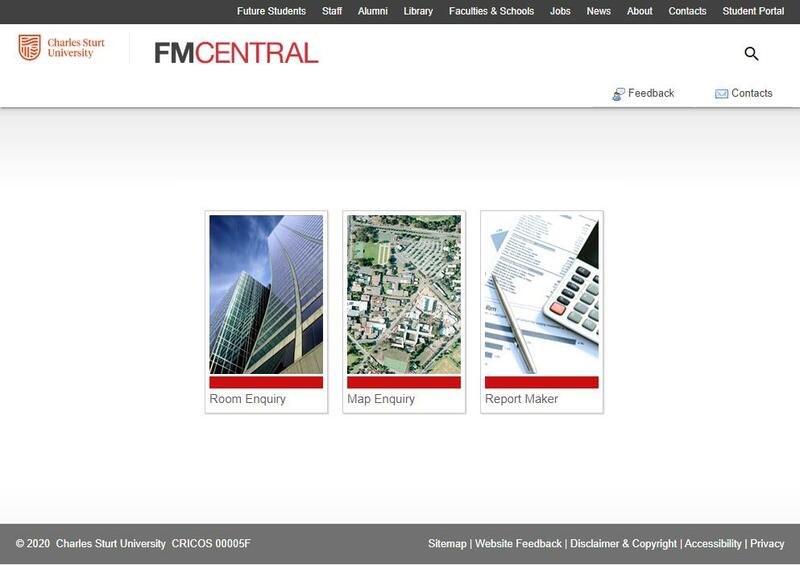 FMCentral (also known as SISfm) is the name given to the University's space management system that enables staff to easily view building and facilities information for all campuses on both desktop and mobile devices. Additionally, FMCentral will enable Space Planners and Facilities staff from the Division of Facilities Management to more effectively manage the University physical assets. All University staff are granted online access to this system to view University building plans and current information about all spaces that are officially allocated to faculties and business divisions. Reports on the University's space portfolio are also available to staff within the Division of Facilities Management.